On 2-5 June 2016 the Sokolniki Exhibition and Convention Centre hosted the 7th Moscow International Moscow Halal Expo 2016 Exhibition for halal goods and services. Over 200 companies from 25 Russian regions and 20 countries participated in the Exhibition and the Contests. The Exhibition and Moscow Halal Economy Forum were attended by delegates from 40 countries. The visitors appreciated a richer and more extensive presentation of products and services at Moscow Halal Expo 2016, its high-level organization and relevant business programme devoted to different segments of the halal market and prospects for trade development, investment attraction and industry growth. Mr. Rushan Abbyasov, Chairman of the organizing committee, said that initially the social and cultural aspect of this project was more prominent, but with more participants and players being involved at the halal market, the Moscow Halal Expo Exhibition is transforming into a business platform, as required by modern times. The Exhibition visitors admit that the project keeps growing every year, improving its performance not only in terms of quantity, but also quality. Mr. Alexandr Tkachev, Minister of Agriculture of the Russian Federation, addressed the participants and organizers of Moscow Halal Expo 2016, saying that “over 7 years of the Exhibition’s work in Moscow the level of specialized goods’ production has multiplied in the country. Russian companies enter foreign markets, exporting halal products to the UAE, Iran, Egypt and many other countries. Our foreign partners duly appreciate Russian products”. During his opening speech, Mufti Sheikh Ravil Gaynutdin noted that halal became not only a product made in compliance with Quranic norms, but also a symbol for safety and quality. “Our common goal is to set an example in any field”, — said the Head of the RMC. Mr. Yahya Alim Rehman, representative of the Islamic Development Bank, who visited the Moscow Halal Expo for the second time in a row, noted that the event developed both in size and content. “It won’t be an exaggeration to say that Moscow Halal Expo is now one of the most prestigious annual events at the halal market” — said the Islamic Development Bank representative during the opening ceremony. Mr. Rehman stated that Islamic Development Bank was ready to support projects for halal industry development and to encourage Islamic financing in the Russian Federation. The International Moscow Halal Expo 2016 Exhibition was attended by: Dr. Abdullah Abdulqader Al-Maini, general director of the Emirates Authority for Standardization and Metrology; Mr. Khan Omar, head of the International Cooperation department of the Dubai Chamber; Mr. Khaled al-Amin, Board member of the Chamber of Commerce and Industry of Bahrain, and Mr. Ahmed Al-Saati, the Ambassador Extraordinary and Plenipotentiary of Bahrain in Russia; Mr. Wahid Supriyadi, the Ambassador of Indonesia in Russia; Mr. Haini Hashim, Ambassador of Brunei Darussalam in Russia, Mr. Abdullah Al-Aqwaa, chargé d’affaires ad interim for the Yemen Republic in Russia; Zainuddin Jalil, Trade Commissioner of Malaysia in Russia; Mr. Khan Jan Alokolay, first Vice-president of the Chamber of Commerce and Industry of Afghanistan; Mr. Marat Sarsenbayev, Chairman of the Kazakhstan halal industry association and other distinguished guests. According to the OIC reports, the value of the global halal market is around USD 2.3 trln, with food segment accounting for 67%, pharmaceutical products — 22%, and cosmetics and perfume — 11%. The managing partner of the Halal Expo Exhibition, Dr. Madina Kalimullina, said that Russia became more active at this market, offering halal food products, as well as solutions in the area of halal medical and cosmetology services. Delegations from Bahrain, UAE, Iran and Afghanistan visited the Exhibition in order to get acquainted with the Russian market of halal food. Delegates from Saudi Arabia, Oman, Pakistan, Bangladesh, Singapore, Philippines, Spain, USA, Mexico, Chile, Switzerland, Netherlands, Egypt and other countries also attended the event. The key point of discussion at business sessions and meetings was the possibility of exporting Russian products to the Middle Eastern countries. The respective negotiations between the guests from Arab countries and the representatives of the Ministry of Agriculture of Russia, Federal Agency on Technical Regulating and Metrology, and the Chamber of Commerce and Industry of Russia took place as part of delegations’ visits to the Moscow Halal Expo. 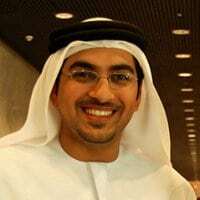 At the Moscow Halal Economy Forum Abdullah Al-Maeeni, director general of ESMA, described the procedure of accreditation for products’ import to the UAE and other GCC countries through the UAE. So far, 9 Russian companies, mainly meat and poultry manufacturers, have been accredited by the ESMA for the products’ import to the UAE. The number of such companies is expected to double over the next few months. “The Moscow Halal Expo is aimed at a very important market. Nowadays the halal market is not only for Muslims, it is a huge market targeting a wide audience. The halal market should be regulated with the participation of state institutions, taking into account the interests of manufacturers, trade companies and consumers. Standardization plays a crucial role in this process”, — noted Mr. Al-Maeeni. The ESMA representative laid out the steps taken by the UAE Government in order to develop standardization in halal industry. He also added that the Government of the UAE cooperated with the governments of many countries and intended to expand this cooperation for the sake of the industry development. Mr. Khaled al-Amin, Board member of the Chamber of Commerce and Industry of Bahrain, head of Bahraini delegation, expressed interest in Russian manufacturers of halal products. Thus, during the Moscow Halal Expo Exhibition the guests from Bahrain conducted negotiations with export-oriented manufacturers regarding the export of products to Bahrain. In his welcome speech Mr. Al-Amin emphasized that Bahraini entrepreneurs were serious about trade and investment cooperation with Russia. “It is time Russian halal producers entered our region”, — he said. Indonesia, the country with a largest Muslim population, takes part in the Moscow Halal Expo every year. The Ambassador Extraordinary and Plenipotentiary of Indonesia in Russia Mr. Wahid Supriyadi noted that Indonesians were not fully aware of the Russian halal market’s potential, but the country was planning to expand its presence in Russia, which includes participation in the following Halal Expo exhibitions. Afghanistan is another promising market for Russian poultry producers. The delegation of the Afghanistan Chamber of Commerce and Industry expressed their interest in poultry import, as well as in cooperation for big infrastructural projects. One of the questions of the halal market’s agenda is the existence of several standards and accreditation procedures. The fact that companies have to go through several accreditation procedures when entering new markets creates financial and other complications for them. Dr Abdullah Al-Maeeni, general director of ESMA, spoke about this issue. He noted that every country, including GCC countries, owned its own halal certification system and its standards. Some standards can differ, e.g. in terms of acceptability of mechanical slaughter. The UAE Government intends to develop a common universally recognized standard for all countries. “Today most companies get certificates for their manufacturing process, but do not cover the packaging process etc. Certifying authorities should also take this fact into consideration”, — he said. The expert also mentioned another common problem — existence of organizations providing both accreditation and certification services, which should be done by separate institutions. Another controversial issue regards certifying institutions having their own slaughter units. In that case they can certify themselves and are not subject to any external control. In his presentation the ESMA representative described the solutions suggested by ESMA in the area of accreditation and certification. Mr Driss Dehbi, managing director of Jebal Al Atlas, an international distribution company (UAE), told the visitor about the first steps of the company at the Russian market and its plans for the nearest years. In particular, the company maintains a holistic approach and intends to export products to Russia and to distribute Russian products in the UAE. Mr. Stephen Kreeger, ex-commercial director of the Metro Group and ex-procurement manager for the X5 Retail Group, shared his experience of working with halal products’ providers. Being a commercial director for RosAgroMarket, he conducted a presentation about opportunities provided by Wholesale and Distribution Centres for manufacturers and trade companies. The first centre will open in 2017 in Novosibirsk, the second one — in the Moscow region. The project will allow the producers to solve a few problems at once (storage, warehouses, packaging, logistics, etc). Mr. Sultan Hamzayev, member of the Public Council of the Ministry of Agriculture of Russia, told about his experience of cooperation with entrepreneurs from Middle Eastern countries in trade and investment. Participants from Algeria, India and Afghanistan also delivered presentations about their companies. Islamic Development Bank is ready to provide support for implementation of Islamic financial deals in Russia. This intention was also expressed in the cooperation memorandums signed by the IDB with the Central Bank of Russia, Vneshekonombank, Tatfondbank and Sberbank. However, small and medium enterprises have an access to Islamic financing even within the borders of our country, through the services provided by Islamic financial companies and crowdfunding platforms. These issues, as well as opportunities for small and medium enterprises at the halal market and their access to funding were discussed at the third session of the Moscow Halal Economy Forum called “Halal business development for small and medium enterprises. Access to Islamic financing”. The sector of halal medicines and health products brought together producers from Russia, Syria, Egypt and India. The suppliers met potential partners from Russia and other countries and discussed the questions of increasing supply volumes and expansion of sales geography. Following the results of the Exhibition, the suppliers’ products will be presented in the first chain of halal pharmacies, which will be opened this year in a number of Russian cities. This year the Moscow Halal Expo 2016 witnessed a significant growth in the number of halal (bio) cosmetics producers. Russian (Alpika and Arabian Secrets), Indian (Alchemie), Egyptian (El Baraka), Syrian (East Nights) and even Japanese companies presented their products. According to the founders of Japan Halal Trade Corporation, suppliers for the Momohime brand, halal cosmetics of Japanese origin is in demand in many countries. For the first time an expert contest was conducted in order to determine the best halal product among beauty products. The best face cream belonged to the Japanese company, the best hand cream was the moisturizing and protecting cream by Arabian Beauty (containing black seed and Arab olive), best oil perfume was a product by East Nights (organic absolute of musk deer). Siwak-based mouthwash with black seed was recognized as the best product for mouth hygiene. The Exhibition organizers announced that ecology, which is a part of halal standards, would be one of the Exhibition topics next year. It should be mentioned that 2017 will be the year of environment in Russia. Mr. Rashid Ismailov, director of the Green Technologies Centre, coordinator of the expert committee for ecology under the Russian Muftis Council, covered the ecohalal standards in his speech. He encouraged companies to be more active in introducing ecological standards in production. Meanwhile, Mr Ismailov believes that environmentally conscious approach is underestimated in business. On 4th June the Modest Fashion Forum took place within the framework of Moscow Halal Expo 2016. Dr. Madina Kalimullina, managing partner of the Moscow Halal Expo Exhibition, welcomed the participants and expressed the hope that the Forum would provide them with some beneficial solutions for their business development. Dilyara Sadrieva, head of Russian branch of the IFDC (Islamic Fashion & Design Council) described the situation at the Modest Fashion consumer market, opportunities for this type of clothes in Russia, and prospects for development. A successful entrepreneur in the Muslim fashion sector, Harun Rashid, founder of Islamic Design House, shared his experience with the audience. In his opinion, the biggest problem for aspiring designers and entrepreneurs was the lack of confidence. “A startupper can not be isolated, you need to invest even if it costs you a lot”, — said the British expert. Mrs. Stanislava Nejmetdinova, teacher at the British Design school, “Fashion Collaboration” project manager offered practical recommendations as to have to be a designer and entrepreneur at the same time and what issues can or cannot be outsourced. Rustam Kashapov (founder and director of the Maidenly multi-brand online shop), Mrs. Amina Surpkelova (Honourary consul of the Expo&Women organization), and Alena Popova (editor of the Russian version of the Italian “Internet in fashion industry” study guide, designer of public communication models in fashion business) also shared their experience and views. The “Best Halal Product 2016” contest took place during the Exhibition. The contest was held in two categories: food and beauty products. There were 16 nominations altogether. All winners received prizes and the right to use a special contest badge on their package. The closing ceremony of the Exhibition culminated in announcing the results of the contest for the company best in following halal norms. This year a record number of companies applied for participation in the contest. Following the conditions set forth by the organizers, this year only one company was chosen the best. It was the Ikhlas company, which manufactures meat products and is based in Samara region. Its founder Rashid Bahteev received his prize from Rushan Abbyasov, chairman of the Exhibition’s organizing committee. During the closing ceremony of the Halal 2016 Exhibition the organizers announced the dates of the next exhibition — November 2017. Mr. Kirill Skogorev, general director of Alif Consult, said that they were already holding negotiations regarding the next exhibition, which is expected to attract even more foreign participants. The biggest platform and the forum for halal goods and services took place with the support of the Russian Muftis Council, the Safmar Fund, ICDT (Casablanca), Russian and foreign organizations. The Exhibition’s partners were: Al Baraka Banking Group, Islamic Fashion Design Council, Made in Russia. Strategic knowledge partners: Thomson Reuters, Salaam Gateway. E-commerce partner : zilzar.com. Organizer of the Exhibition: Alif Consult. We are inviting you to the next 8th International Moscow Halal Expo 2017 for halal products (foods, cosmetics, medical products and raw materials), which will take place on 16-18 November 2017 in the Sokolniki Exhibition and Convention Centre (pavilions 4 and 4.1).